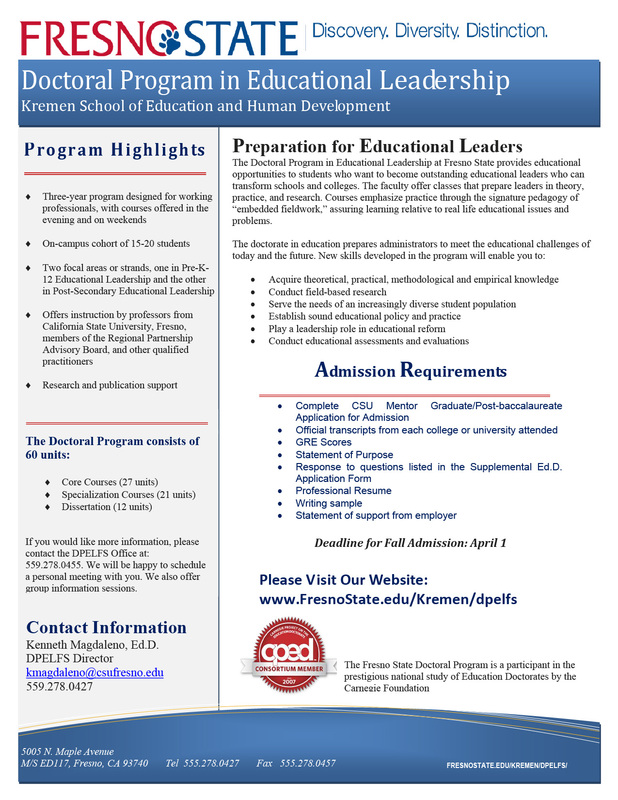 The Doctoral Program in Educational Leadership at Fresno State is accepting applications for Fall 2016 admission. The program provides educational opportunities to students who want to become outstanding educational leaders who can transform schools and colleges. The faculty offer classes that prepare leaders in theory, practice, and research. Courses emphasize practice through the signature pedagogy of “embedded fieldwork,” assuring learning relative to real life educational issues and problems.